This game sees the two teams toiling at the foot of Group E clash and both sides will be desperate to grab an all-important win. The hosts are, perhaps surprisingly, sitting with a 3-1 status at this stage of the campaign while the debutants in the Euroleague hold a 0-4 record at the moment. Whoever loses on Friday night will be well off the pace with respect to the Playoffs. The hosts have lost two games in a row and this leaves them in desperate need of a win. Nick Calathes has still been performing well of late and he is the leader with respect to steals. Other players who have been dominant for the Athens side of late include James Feldeine and Dimitris Diamantidis. 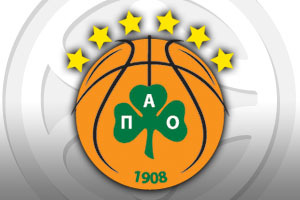 However, the main issue for Panathinaikos can be summed with the fact that the team are the lowest ranked scorers in the Top 16, coming in with an average of 68.3 points per game. If the hosts can improve this aspect of their game, they could be moving upwards in the Group E table before too long. The fact that Darussafaka managed to score 100 points in their Top 16 game last week and still ended up on the losing side says a lot about the team and their issues in the Top 16. There were a number of big performances for the Turkish team last week with Jamon Gordon, Scottie Wilbekin and Ender Arslan all turning in a big showing, even if it was in vain. Luke Harangody and Semih Erden also showed that they can have a big impact on matches and if they are able to hit these heights again in Athens, they could be looking at a historic night in Greece on Friday evening. It has been a tough time of late for the hosts but they are strongly tipped to come through this game. 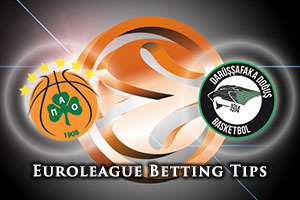 You should look to take Panathinaikos Athens at -10, which you can find with odds of 1.90. For the Over/Under market, look to go UNDER 147.5, at odds of 1.90. Bet Now!